Samsung has started rolling out the latest Android security patch for the month of February to a host of devices that include the Galaxy S6, Galaxy S6 Edge, Galaxy J5 2016 as well as the Galaxy A8. Being a monthly security patch, this update doesn’t bring new features to any of the phones. However, Samsung Galaxy S6 users will see an update to their software version that will bring the build number to G920FXXU5DQAJ. While the update brings the security patch level to February 5 for Google devices, don’t be surprised if your device’s date is February 1. 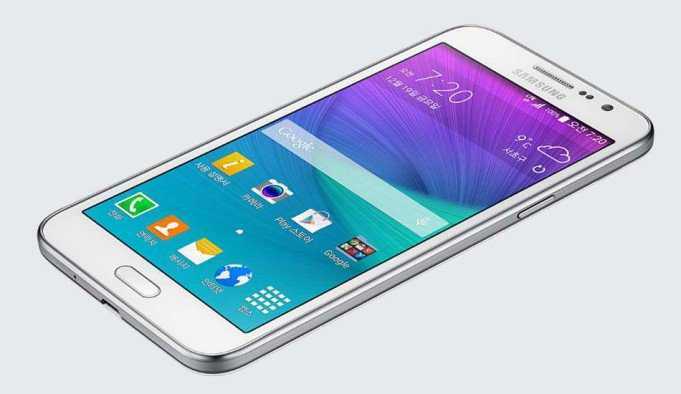 The story is the same for those using Samsung Galaxy S6 Edge, but this model gets software build number G925FXXU5DQAJ. Apart from Samsung Galaxy S6 and S6 Edge, the South Korean tech giant is also rolling out the new February Android security patch to midrangers Samsung Galaxy J5 2016 and Galaxy A8. The Galaxy J5 follows in the footsteps of the Galaxy J5 Prime and Galaxy J7 Prime, which received the update a few days ago. The update installs the latest security patch level and ups the software build number to J510MNUBU2AQA5 for the Galaxy J5 2016 and A810FXXU1AQA2 for the Galaxy A8. This update is hitting all devices as an OTA and as such, not all units will be receiving it at once. Some Samsung Galaxy S6 users have already received it, but others haven’t – same case for the rest of the handsets in question. However, don’t freak out for the update will be with you sooner than you think. If you can’t wait, there is room to check it manually by heading to the Settings>About phone>System updates and if the files are ready for your device, you can download and install them right away. There is still no sign of Android 7.0 Nougat for any of these phones, be it Samsung Galaxy S6 or Galaxy J5 2016. This update only brings a few bug fixes and performance improvements, but the wait for Nougat is still on. Hopefully, it won’t go on for long! Keep following and we’ll let you know when it’s here! Meanwhile, have you received February’s Android security patch on your Android phone? Let us know in the comments below.